Making holiday wishes come true. Katy Perry sent burn victim Safyre Terry a sweet, handwritten Christmas card and care package after the young fan asked for a card from the singer. The pop star, 31, responded to the holiday wish of the 8-year-old girl — who lost her family members in an arson fire that also left her severely burned and without a hand and foot — and did it in a big way. So what exactly was in the sweet surprise from Perry? The care package included a cute hoodie with ears, a backpack, a DVD of Perry’s Prismatic tour, a DVD of her film Part of Me, an iPhone 6 case and a black kitty cat purse. But the best part? A touching hand-written card from the “Dark Horse” singer herself. In additional to her card and gifts from Perry, Safyre also received more than 500,000 cards and 10,000 packages from people around the country, including ones from Beyoncé and President Barack Obama. 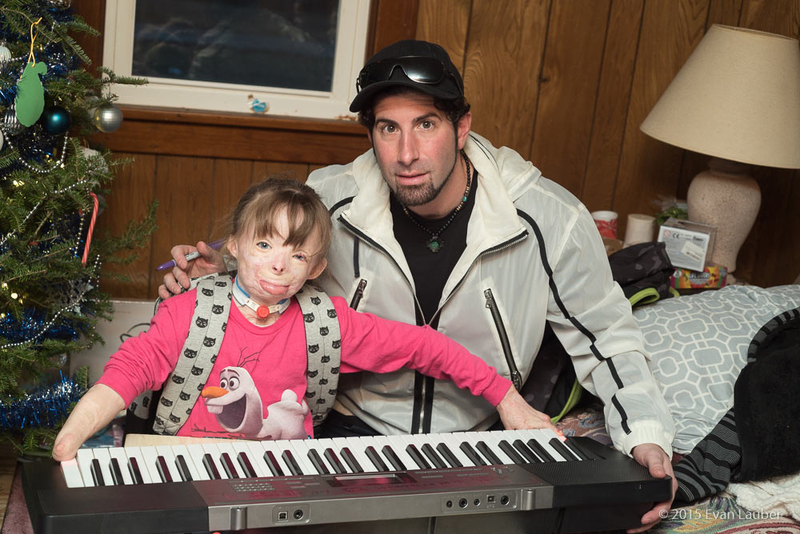 In one pic taken by photographer Evan Lauber, the little girl played "Roar," her favorite song by Perry, on the keyboard with Angel Cascio, one of the late Michael Jackson&apos;s best friends. "Safyre went back and forth between learning &apos;Roar&apos; and opening gifts. She really is very interested in learning her favorite song from her favorite artist!" Lauber tells Us exclusively. The photographer also told Us that Safyre&apos;s family and supporters hope she will get to record her version of "Roar" with Cascio and that Perry will hear it and hopefully visit the little girl. 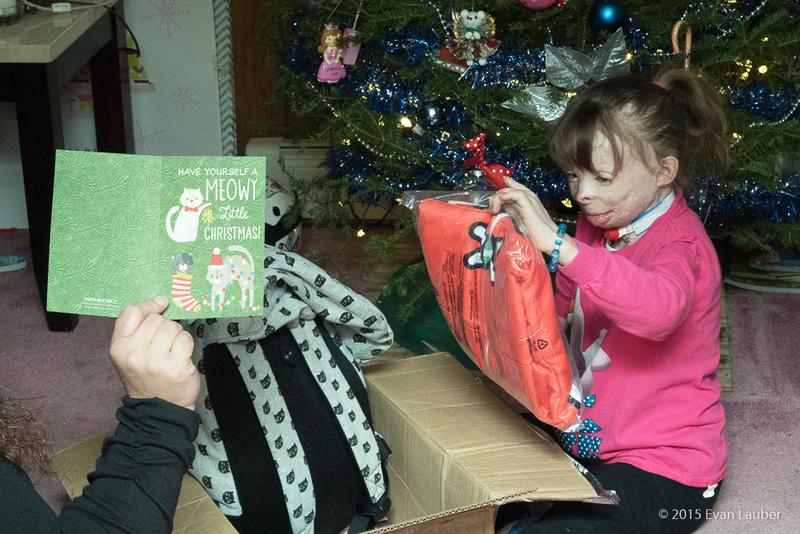 But it isn&apos;t just celebrities who have been touched by Safyre&apos;s story and sent her Christmas cards and gifts. Lauber tells Us that one girl from Kentucky, who&apos;s in a cheerleading squad called Safyres, managed to get cards from 500 friends in one week and spent $107 express-mailing them to Safyre. Perry herself got into the Christmas spirit earlier this month by hosting a private screening of the beloved 1990 film Home Alone at L.A.’s Vista Theatre on December 13. Tell Us: What do you think of Perry’s sweet Christmas gift to Safyre?